When water and electricity come together it creates a situation where you need a combination of caution and expertise. Sprinkler irrigation systems for farms, golf courses, industrial wastewater disposal and many other applications require specialized equipment and housing. Bay Power is committed to serving water and irrigation customers with equipment (whether new, used, or obsolete), expertise, and recommendations. Pump control panels are used for machinery automation across all automation and motor control applications in water-based systems. 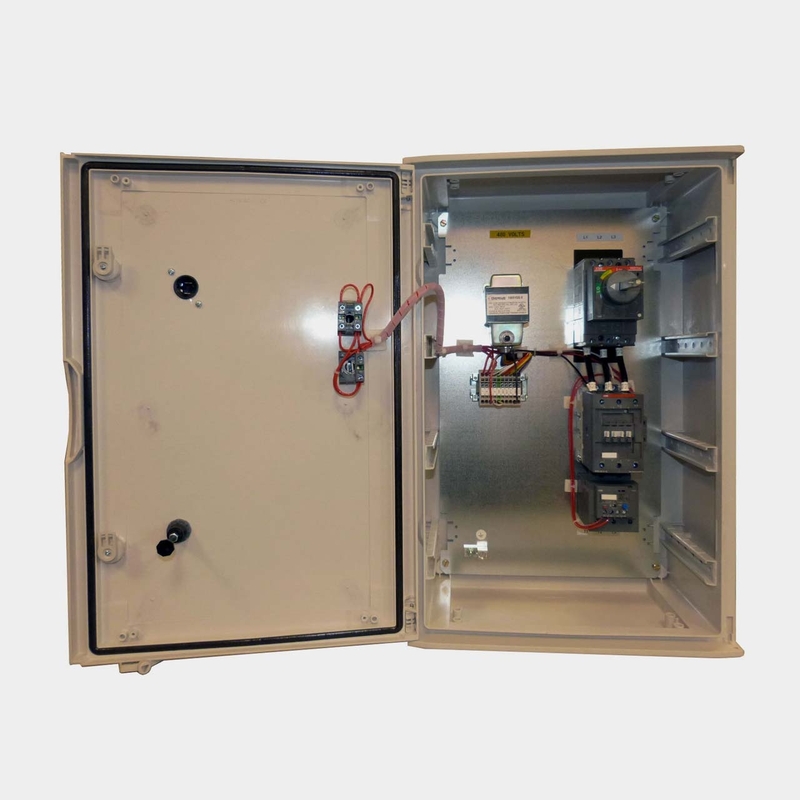 Available in wide variety of designs and configurations, pump control panels use combination starters, circuit breakers or switches, vacuum contactors and electromechanical contactors to control water in irrigation systems, fire stations, septic systems, and more.